Air Experience Flying - Sun 10 May: We have our first potential slots for over a year coming up. 8 cadets can apply to take to the skies in the Grob Tutor and experience life up in the air. 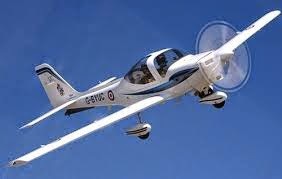 Cadets interest MUST sign up in the Squadron on Wednesday OR email oc.84@aircadets.org in order to bid for a place. Open Evening - Wednesday 13 May: Interested in joining the Air Cadets as either a cadet or adult instructor then come along to our open evening to find out more. Please email the Squadron (84@aircadets.org) to register your interest in advance so we can judge numbers. The events will start at 1930hrs and finish approx 2100hrs. Vehicle Maintenance Part 2: Following a successful theory and practical session at the start of the month using a car as a demonstration model we are planning to show cadets how to care and maintain bigger vehicles including the minibus and a HGV. Tailors Parade - Sun 30 May: Our first in a series of dedicated parades for cadets to get their uniform up to scratch ready for the next inspection. Cadets will have chance to get useful tips from more experienced members as well as visit stores to exchange items where available.